Haasan said his immediate plan is to meet people and travel across Tamil Nadu with a focus on studying and learning from farmers about their problems. Actor Kamal Haasan, who turned 63 on Tuesday, said there is no need for debates on his political entry since he has already entered the arena. On reports that he would be launching a mobile application to interact with people and collect grievances, Haasan said the application is still being tested for advanced performance. “Many people are saying that I may enter politics. But, there is no need for a doubt or debate. I have already entered,” he told mediapersons. Haasan said his immediate plan is to meet people and travel across Tamil Nadu with a focus on studying and learning from farmers about their problems. Saying that launching a political outfit is tougher than making a movie, he added, “I am someone who takes several months to prepare for a movie. When I meet you next, in January may be, I will share more information. Still, I may not be ready with the name of the party then. I need to talk to people. Since they have allowed me to enter politics, preparations are to be made to work for them,” said Haasan, clarifying that he is not in a hurry to launch the party. Revealing the name of his mobile application as Maiam Whistle, he said Maiam is an idea of a collective while whistle stands for whistleblower, asserting that every person should become a whistleblower. “But I never used the word terror. What I meant was extremism,” he said, adding that “Hindus should be condemning that violence first”. 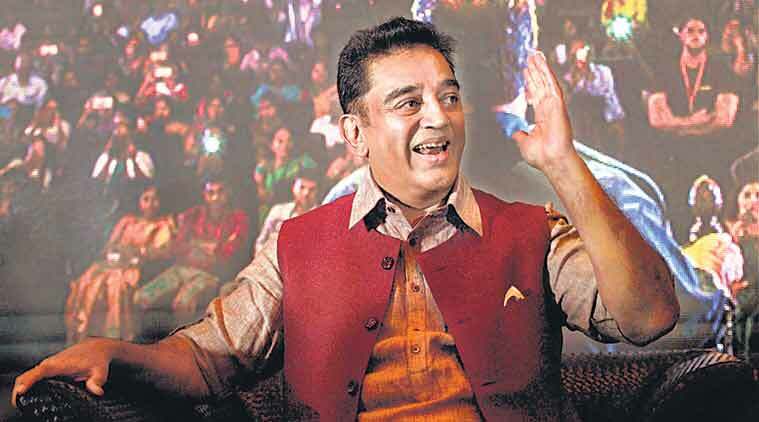 Interestingly, unlike most Dravidian politicians, Haasan refused to take an extreme stand in the debate on religion. “I belong to a Hindu family. It is a fact that my grandmother and my elder brothers were all following the same tradition. But I came out of my religion and caste in search of truth. But I do not want to glorify or ridicule anything. Neither am I an atheist. I would say I am a rationalist,” he said. He said many were asking him whether he is Left or Right or Centre in his political stand. “I am not at the Centre, most of the populists are there,” he said.